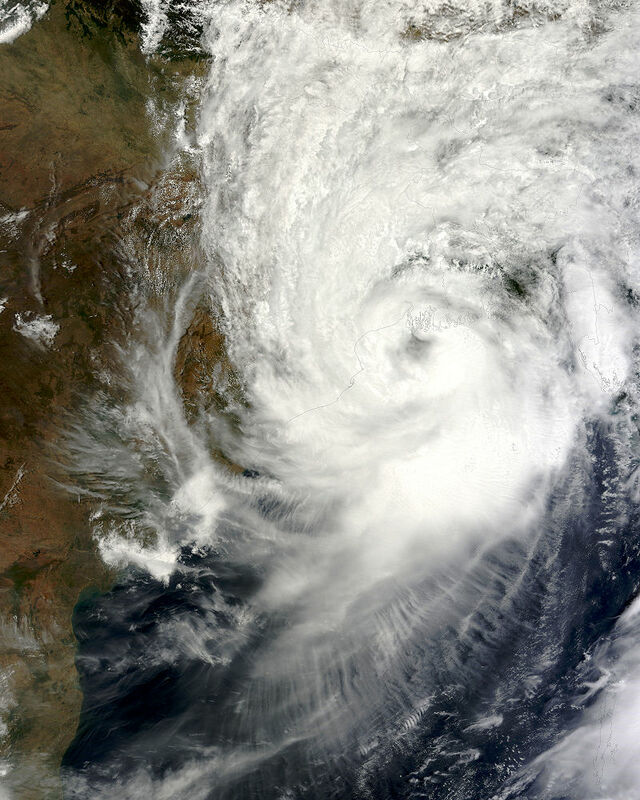 The Aila cyclone hit people of coastal Khulna and Satkhira districts strongly on May 25, 2009. By collapsing few embankments, the cyclone submerged significant parts of the districts with strong tidal surge and left hundreds killed and thousand others homeless and distressed. 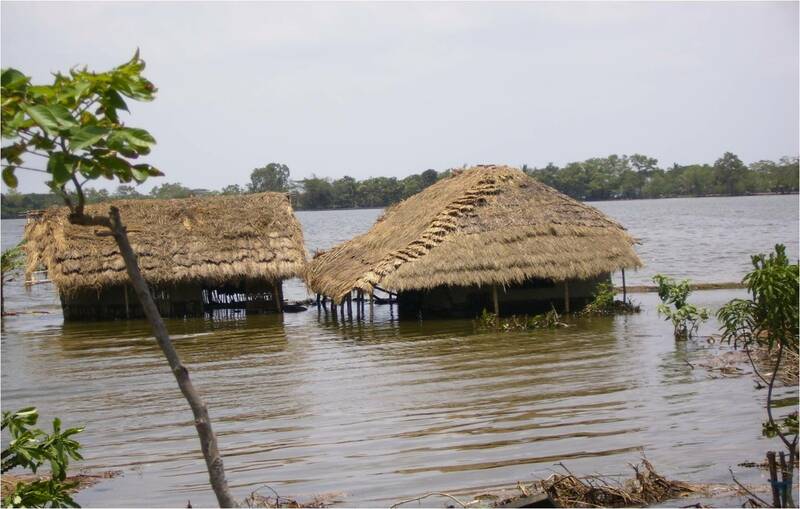 The areas were not being rehabilitated and there was no move to take the affected people back to their lands that remained submerged to tidal surges. Although there was adequate relief support immediately after the cyclone, that same stopped since September, 2009. The affected people were receiving nothing more than 20 kg of rice from the government per month, which was grossly inadequate for one family. There was no initiative from the government agencies to provide the suffering populace with potable water, sanitation, clothing and treatment. In the absence of supply of adequate food and potable water, people were nearly starving and suffering from chronic water borne diseases like dysentery, typhoid, diarrhea and skin diseases. While some of the affected people were living in cyclone shelters, schools and colleges, the majority of them were leading sub-human life in the makeshifts mostly built upon damaged embankments. Deprived from all basic necessities of life and in the absence of needed protection and support from the government, the affected people were forced to accept the indignity of refugee lives. Their cries for food, shelter, clothes, health and medicines, water and sanitation continued to fall on deaf ears. As winter was approaching, the families living on the roadside and on embankments, having no protection against the cold, feared severe health crises, particularly for the elderly and the children. The suffering people were desperate to get back to their homes and engage into economic activities. The same could only happen when the damaged embankments were repaired preventing the tidal surge (bringing 6-8 feet water) from entering their villages. 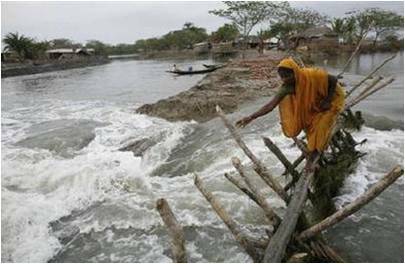 The suffering population that included the local elites, middle class and the poor demanded immediate reconstruction and repairing of the damaged embankments by January, 2010 as otherwise, the coastal rivers would bring in saline water on their agricultural lands making cultivation difficult. Having failed to get any definite commitment from the local level government about repairing the embankments and rehabilitation, a fraction of the Aila affected people organised in the name of Dacop Nagorik Parishad, in collaboration with a national level NGO called Bangladesh Environmental Lawyers Association (BELA), approached the High Court through a Writ Petition (No. 8483 OF 2009) for legal remedy. 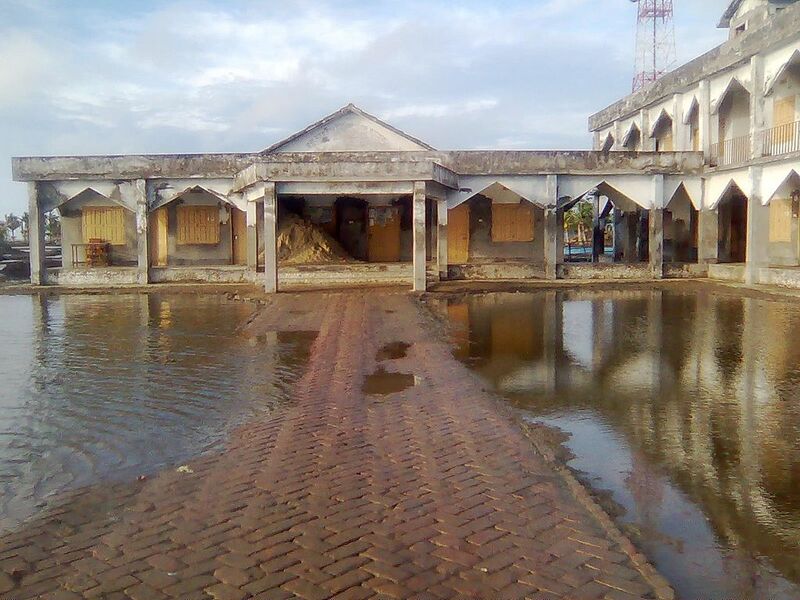 On 17 September 2009, the High Court issued a show cause notice upon the government asking it to explain as to why they shall not be directed to (i) reconstruct/repair the damaged embankments within February, 2010, (ii) protect and maintain all water structures from contrary use, and (iii) construct more cyclone shelters in the coastal districts to protect the legal and fundamental rights of the disaster affected people. Project Details As per the initial damage assessment report, dated 26-05-09 of the Disaster Management Bureau, Aila has damaged the embankments of the Bangladesh Water Development Board (BWDB) in Khulna district, affecting the Dacop, Koira, Paikgachha, Butiaghata Upazillas (administrative tier below District), while in Satkhira district, Aila completely destroyed 83,089 houses (report of the Upazilla Disaster Management Committee dated 27-05-2009). Amongst the total Upazillas hit, the worst ones are Dacop, Koira, Shyamnagar and Asashuni Upazillas of Khulna and Satkhira districts. All 6 Unions (lowest administrative tier) of the Koira Upazilla were affected by Aila where the number of totally destroyed household remained 23,820 and the number of partially destroyed houses was 18,620. The number of families severely hit in the said 6 Unions was 27,454, claimed a report dated 22 October, 2009 of Upazilla Nirbahi Officer of Koira. The Upazilla Nirbahi Officer, Dacop reported on September 6th 2009 that the numbers of families of Kamarkkhola and Shutarkhali Unions living on shelter homes and embankments were respectively 3500 and 7000. A map of the Directorate of Relief and Rehabilitation dated 03-06-09 and information provided by the Deputy Commissioners Office of Satkhira showed that in the Upazilla of Asashuni, at least 147,681 people were affected while 12, 375 houses were completely destroyed. The worst affected Unions were Kamarkhola and Shutarkhali (Dacop Upazilla, Khulna District); North Bedkashi, South Bedkashi, Maheshwari, Maharajpur, Koira Sadar and Bagali (Koira Upazilla, Satkhira District); Padmapukur, Gabura (Shayamnagar Upazilla, Satkhira District); Pratapnagar (Asashuni Upazilla; Satkhira District). 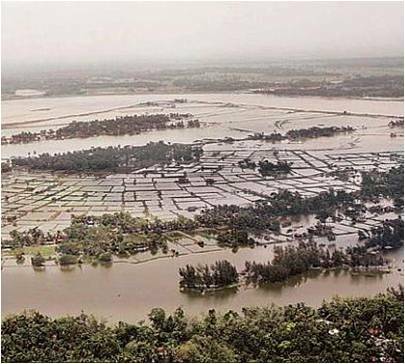 Various reports revealed that in Satkhira District alone embankments stretching an area of 127 kilometres were breached and were in need of immediate repairing to save the people form regular inundation. 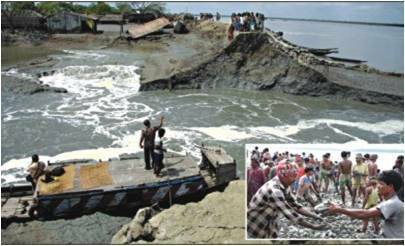 Length of the embankment damaged in Khulna was 236 kilometres. Relevant government actors Ministries of Water Resources; Food and Disaster Management; Local Government, Rural Development & Co- Operatives; Agriculture; Health and Family Welfare; Environment and Forest; Director Generals, BWDB; Disaster Management Bureau; Deputy Commissioners, Khulna, Satkhira; Executive Engineer, Divisions-1 and 2, BWDB; Upazilla Nirbahi Officers, Dacop, Koira, Shyamnagar, Asasuni Upazillas of Satkhira Districts. Development of Alternatives The local group Dacop Nagorik Parishad, in collaboration with a national level NGO called Bangladesh Environmental Lawyers Association (BELA), approached the High Court through a Writ Petition (No. 8483 OF 2009) for legal remedy. On 17-09-2009, the High Court issued a show cause notice upon the government asking it to explain as to why they shall not be directed to (i) reconstruct/repair the damaged embankments within February, 2010, (ii) protect and maintain all water structures from contrary use, and (iii) construct more cyclone shelters in the coastal districts to protect the legal and fundamental rights of the disaster affected people. Why? Explain briefly. Some embankments are yet to be constructed. The construction work being done with support from the World Bank is progressing slow . As a result, thousand of people are still living in shafts constructed over flood embankments, while male members of the affected families are migrating elsewhere for work. Areas face severe shortage of potable water. People's livelihoods are at stake.